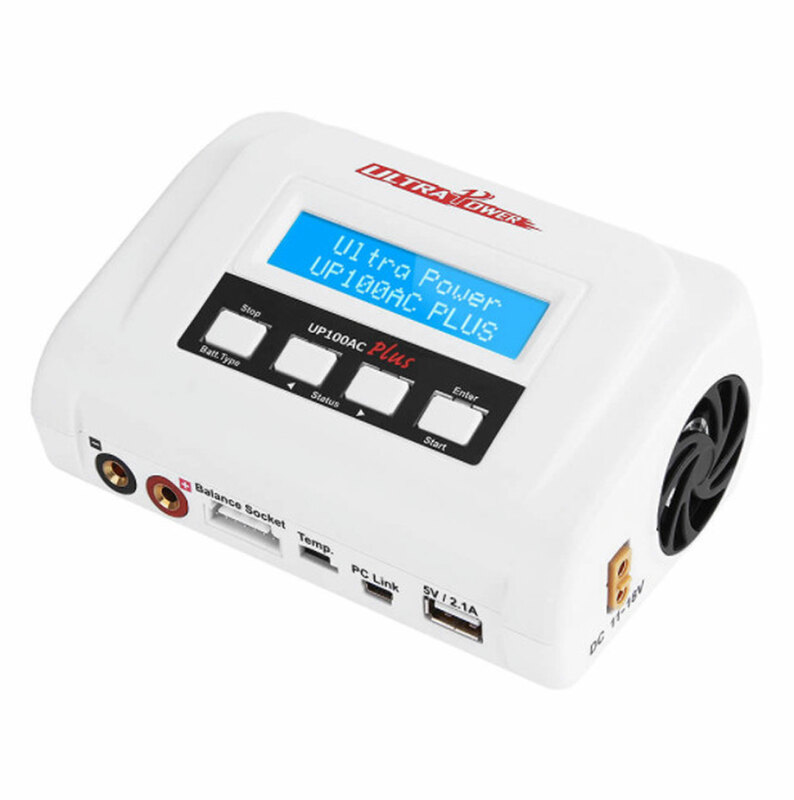 The UP100AC Plus is the ideal upgrade for chargers included with RTF or RTR models, conveniently charging a quality 5000mAh 2S LiPo pack at 10A in less than 30 minutes. 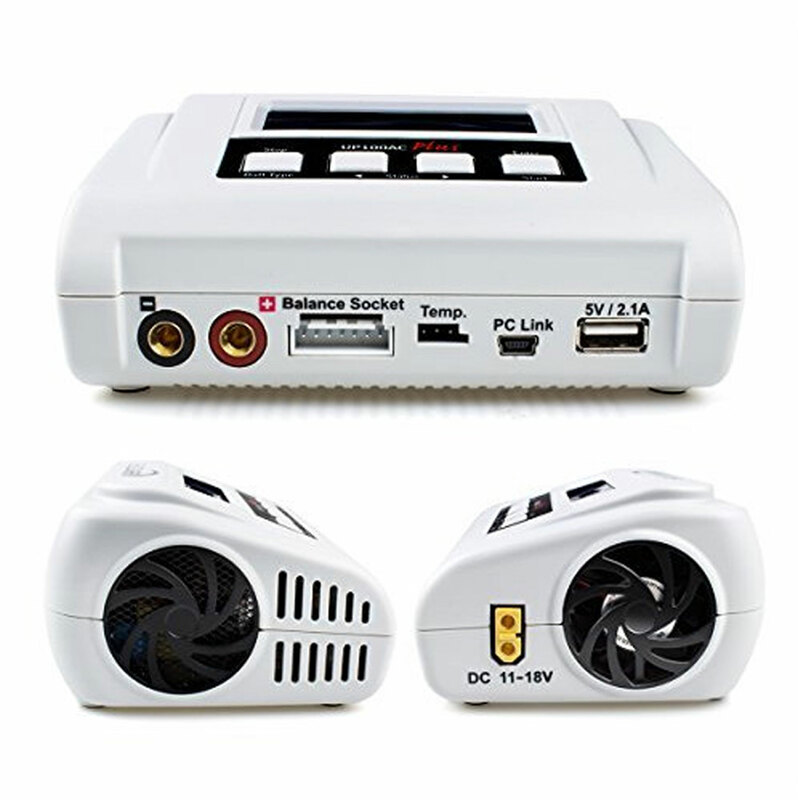 Features include: selectable charge termination voltage, adjustable delta-peak (NiCd/NiMH), individual cell balancing, battery meter function, data storage (10 profiles in memory), and a USB port for firmware upgrades or charging phones and tablets. Covered by Ultra Power's unconditional 1-year exchange guarantee.